A strong online presence can greatly determine the success of any business. However, not all businesses have websites. This may be linked to the once daunting process of actually creating one. Fortunately for many aspiring site owners, technology has significantly evolved to cater to their needs. Now there are tons of website building tools and customizable templates to help you create a stunning website in no time. Maybe you have always wanted to make your brand more visible by creating a website, but you just do not know how to. Luckily, for you we are here to help. See for yourself by trying our demo version. We have also prepared 10 easy ways to create the perfect website for your brand. Creating a website is exciting! This is your opportunity to present your brand to the world. We know you are excited, but before you start selecting templates, you first need to do a little research. Simply take some time out to define the goals of your website. Will you be using it for only branding purposes? Will you need e-commerce to sell your products? Is it for advertising? Answering these questions will help you ensure that your brand identity is clear and complements the other aspects of your company. There is no doubt that a website can help with visibility, which usually translates into more customers and an increase in profit. However, remember that your website is just a part of the bigger picture. By developing a cohesive media plan you can use your site as an extension to traditional media. You can also decide to make it stand on its own as a source of revenue or maybe another way to promote your company’s name without taking advantage of the potential income it could generate. It’s really all up to you and what you want. 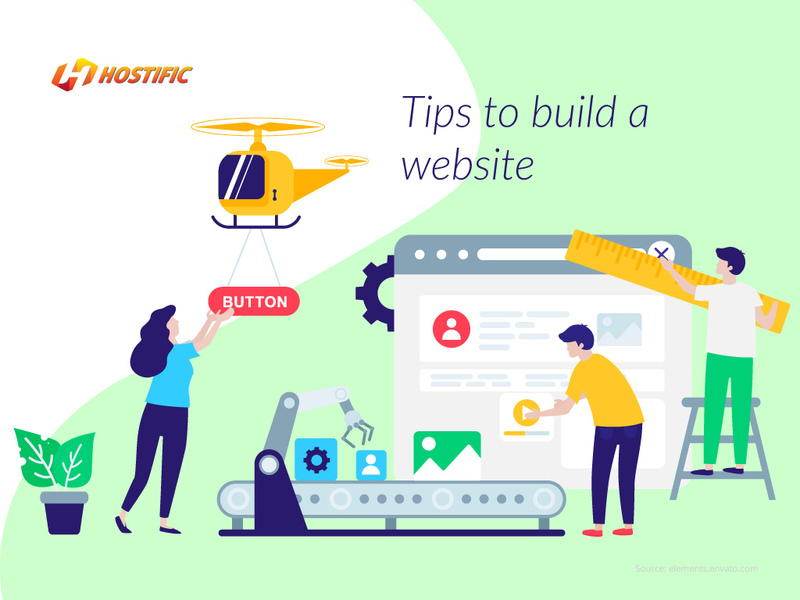 Your website needs a foundation to build on. This is what we call a platform. It is on the platform that you customize, maintain and update your site. If you are a beginner, we suggest you chose a platform, which allows you to customize it by dragging and dropping items. Now that you have chosen a platform, your next step to making that website a reality is to get a hosting site to keep it. Your platform is like your grocery and the hosting site the shopping bag. A hosting site simple stores the files that make up your website on a server. That’s where persons using the internet can access them. When someone types in your website, they will go to the server that’s hosting your (files) website. It’s essential that the hosting site offers 100% uptime, which will allow persons to access your website at all times. The best web hosting providers allows you to do everything from, choosing a domain name on a reliable platform to hosting and using responsive templates to create a beautiful site. You have done all the groundwork and you are almost there. It is time to choose a domain name that captures the essence of your website. Your domain name or website name is your online address. It should be unique, short and easy to remember. Aren’t you excited? Your site is now halfway there. You’ve taken care of the technical aspect now it’s time to put your best content together to populate it. Write your best articles and select or take professional photos of your products for your website. Be sure to prepare and double-check all of the texts that you plan to use before you put them on your site. If you see an error or simply want to update the information, you can easily go back and change the text throughout the building process. Remember it’s always great to start with a solid base of written and visual content. But don’t overdo it. You want to leave your visitors updated but wanting more. You have done the foundation work. Congratulations! Now let the fun part begin. Start by putting the content you have been creating on your website. Choose a stunning and professional customizable template. Finding the perfect one for whatever your taste, brand or business is extremely important. Ensure you take some time to go through a bunch and carefully select the one that suits your goals, to avoid changing your template a few months down the line – though in reality can switch a template whenever you want. Multi-functional templates are fully customizable, you can change the colors, headers, fonts, image and videos so your site reflects the exact look and feel you want. Go ahead and add your social media handles to connect even more with customers. Things are looking pretty good so far. Your site has taken shape and is almost ready to be published for the world to see. Just before you hit that button, optimize your website for SEO (Search Engine Optimization). This is a process of being creative with keywords to organically drive traffic to your site. More traffic means a higher ranking on search engine results. This is great as persons usually click only on the links on the first three pages. By optimizing your site, your visibility will be wider thus reaching more prospective customers. Gone are the days when accessibility to the internet was limited to our PCs, (Personal Computers). Today you can access the World Wide Web from just about everywhere with your smartphones and tablets. Most persons use their phones to access the internet, and if your website is not optimized to facilitate this, it will load slowly and texts will be small and hard to read. The 21st century is fast paced and frustrated potential customers will leave your website to find a mobile friendly one. If your website is optimized for multiple platforms, you have a greater chance of keeping these visitors. This will help to improve your overall website’s ranking on search engines and boost customer satisfaction. You are at the final step. That wasn’t so hard was it? You have selected the best platform equipped with website hosting, chosen that perfect domain name, customized your template and now it is time to display your masterpiece. Preview it and pat yourself on the back for completing your website. Now hit the publish button and share on your social media platforms, and with friends and family. You did it! With Hostific, you can have everything in one place. We provide you with the perfect platform for your domain, hosting of your website and offer user-friendly tools and some of the most stunning templates.